Goodland, Kan. (August 14th, 2017) – Goodland Junior/Senior High School is proud to announce it has joined Seatbelts Are For Everyone (SAFE) for the 2017-18 school year. SAFE is a teen run, peer-to-peer program focusing on increasing teen seatbelt use through education, positive rewards and enforcement. It’s designed to bring awareness of the importance of wearing a seatbelt so we can reduce the number of motor vehicle-related injuries and fatalities within the community. The goal of SAFE is to provide students with strong traffic safety messages throughout the school year. During the program students conduct unannounced seatbelt surveys, hold monthly educational programs including pledge card signings and monthly drawings for gift cards which are awarded to students that have signed a pledge card to wear their seatbelt. 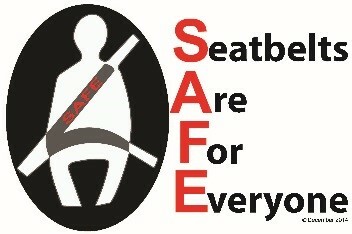 Law enforcement also conducts an enforcement period to emphasize the importance of wearing your seatbelt. SAFE has been instrumental in increasing the Kansas teen seatbelt rate from 61 percent in 2009 to 85 percent in 2017. During the 2016-17 school year, SAFE was in 150 schools in 64 of the 105 Kansas counties.